It is spring now and you probably go for a walk with your Gentle Giant very often? 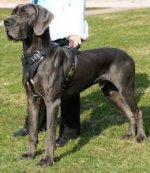 How many times do you hear such words: "Wow!..What a beautiful and large dog!" I'm sure that people around admire your beloved pet and you are the happiest man to have such dog breed. 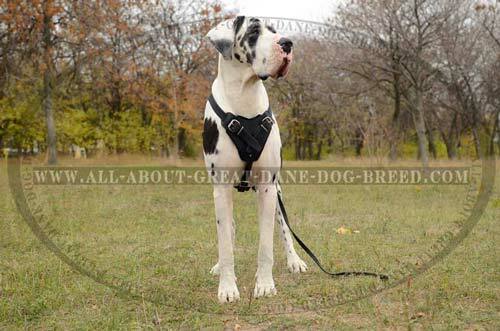 Maybe you want to know more about your Great Dane's character? Maybe you want to make his life more comfortable, healthy and enjoyable? 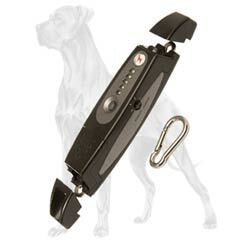 Maybe you want to choose proper dog training equipment for your beloved pet? No problem!Thank you for subscribing to our newsletters. I'll be happy to offer you all important information about your Gentle Giant! Just spend a few minutes to read the article below. I hope you will find some useful information! Have a nice day!I wish you to enjoy every minute with your four-feet friend! 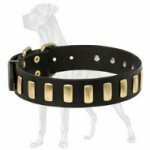 Provide your Great Dane with comfy and safe walking! You can train and control your dog using a variety of methods and techniques. 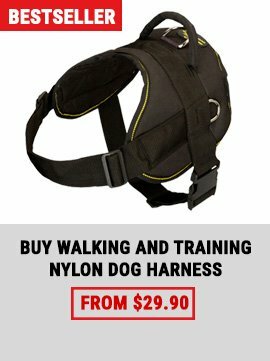 What your want to train your dog to do or not to do can often determine what equipment you may need. 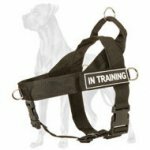 Harnesses, halters, and collars are all used to control your dog during training or while you are out in public. 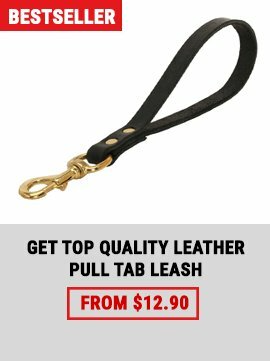 It is up to you to decide which piece of equipment will work best for you and your pooch. To help you decide, consider the following brief explanations. 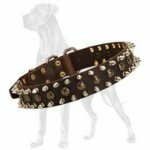 As you know a good-mannered dog will never bite anyone without a reason. But unfortunately there is no perfection in the world. That’s why we need to put a muzzle on a dog. 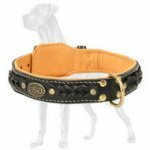 A dog muzzle is needed for vet visiting as well. 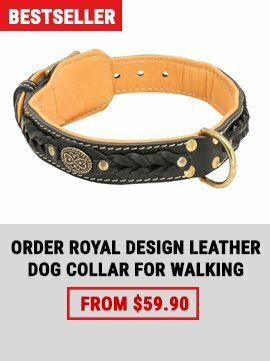 Because there can be a stressful environment for your pet and he can bite even his owner. 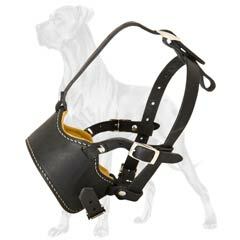 To avoid this we suggest you No Bite Padded Leather Muzzle for Great Dane.